Trestle Ridge is a neighbourhood perched at the city’s edge, atop of Kelowna’s Upper Mission neighbourhood. This development features large, carefully planned lots offering breathtaking views of the city and Okanagan Lake. Phase 1 sold out quickly and earned many Tommie nominations and winning a gold for their show home. 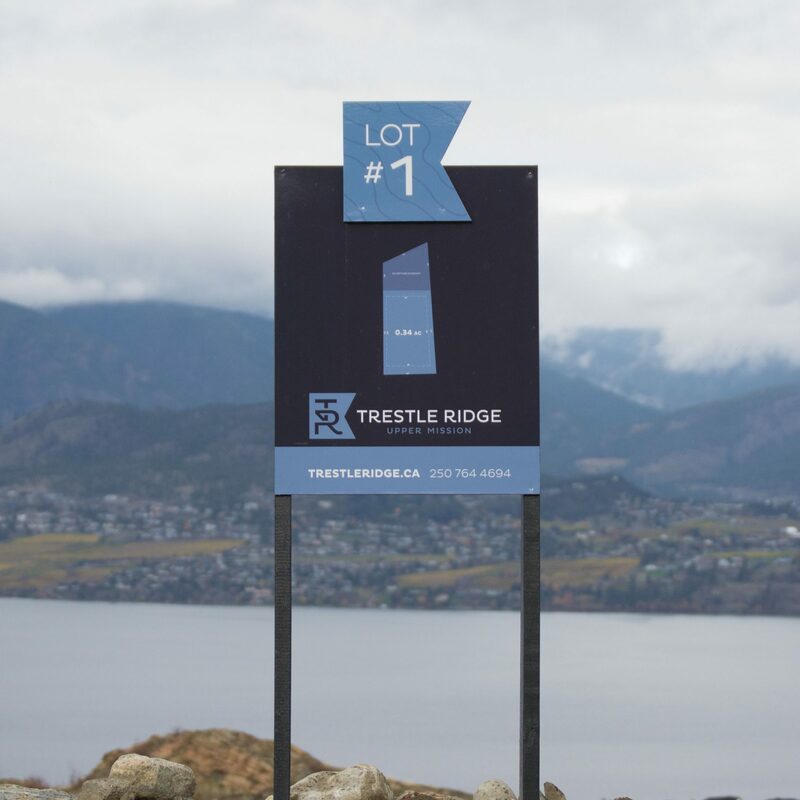 The developers of Trestle Ridge created The Edge, an exclusive enclave of luxury home sites within Trestle Ridge, to satisfy a growing niche market for larger view lots in Kelowna. Properties featuring 100 foot building frontage and exceeding ½ acre in size were specifically designed to accommodate an across-the-lane “man cave” for recreational toys.